Last time, we talked about eating whole, natural foods to help the body recover after illness, exercise, or chronic inflammation. This week I’m going to introduce some supplements that you should think about incorporating into you daily routine. Chances are, you could use more of all the things I am about to mention. No, not because I’m trying to sell you anything. In fact, just the opposite! In this article I will try to steer you away from very frivolous purchases at the vitamin store. The supplements listed below are in no way meant to treat or cure any particular health condition. These are recommendations. Most of items listed below are found in natural food sources as well as in pill form. My suggestion is to try to eat more REAL FOOD, not pills. However, our modern lifestyle leaves us deficient in certain vitamins and minerals. LISTEN UP! Supplementation is not a replacement for a sucky diet and sleepless nights. 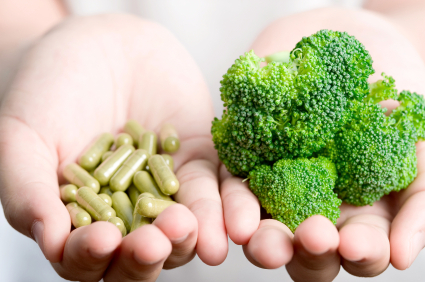 Get those things dialed in first and then think about adding supplements to your life. Fortunately, because of our modern society and intellectual an scientific advancements, we do have the capability to optimize health and performance in a way that wasn’t possible in ancient society. Some supplementation is recommended to correct biological problems that have arisen BECAUSE of our failed food system and misleading nutritional advice. Vitamin D: regulates growth of every cell in our bodies and prevents a variety of diseases. (anti-inflammatory). 10-30 mins. a day on 40% of your body. Supplement if: you are mostly indoors during daylight hours, it’s been stormy, overcast, rainy for multiple days. Natural Source: the SUN! 10-30 mins. a day on 40% of your body. Fish Oil: helps normalize immune response, fertility, neurological functions. Help regulate the O3:O6 ratio. Supplement if: Everyone should supplement with fish oil! The amount is what varies from person to person; whether you are trying to heal from any injury, you don’t eat fatty fish on the regular, or you happen to eat a lot of Omega 6 containing foods. 4 g-10 g per day, depending on an healthy vs. sick individual, I recommend getting fermented cod liver oil/butter blend from GreenPastures.org. Magnesium: good for energy, muscle contraction, insulin sensitivity. Mag is critical for absorption of calcium. Almost everyone needs more magnesium due to the differences in our food sources today vs. 10,000 years ago. Probiotics: essential for intestinal health. Maintaining the lining of you digestive tract, breaking down your food even further and allowing your body to absorb micronutrients from your awesome PALEO diet. 1 or 2 a day before eating. NOW super enzymes: Helps break down fats and proteins in the digestive system. Makes nutrients more available for absorption. Supplement if: You have had a history of digestive disorders or general bowel movement issues. Take as many until you feel warmth. Go down from there as your enzymatic needs decrease. Don’t spend too much money, but make sure you get good quality! Natural Calm: Magnesium Citrate. Chelated magnesium is good. Magnesium Oil from Ancient Minerals is awesome. Absorbs through the skin. Robb Wolf recommends Vitamin D in liquid form like Ddrops. I guess any Vitamin D in pill form is very poorly absorbed. Probiotics; you’re on your own with this one. If it’s on a shelf, check the box to make sure they are “shelf stable) otherwise, go with the refrigerated versions. The amount and kind of bacteria are specific to your body, so you’ll have to do a trial test with them. I take a soil-based, broad spectrum probiotic called Prescript Assist.